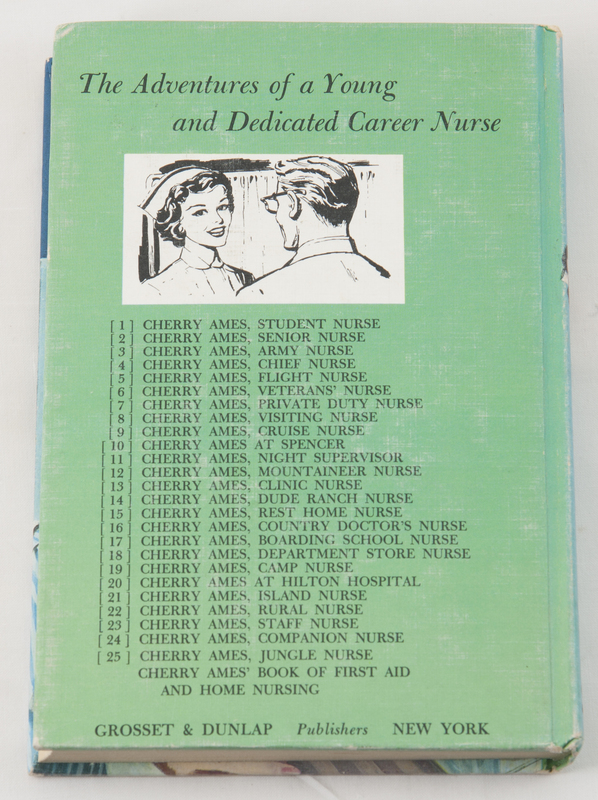 Cherry Ames is the central character in a series of 27 mystery novels with hospital settings published by Grosset & Dunlap between 1943 and 1968. 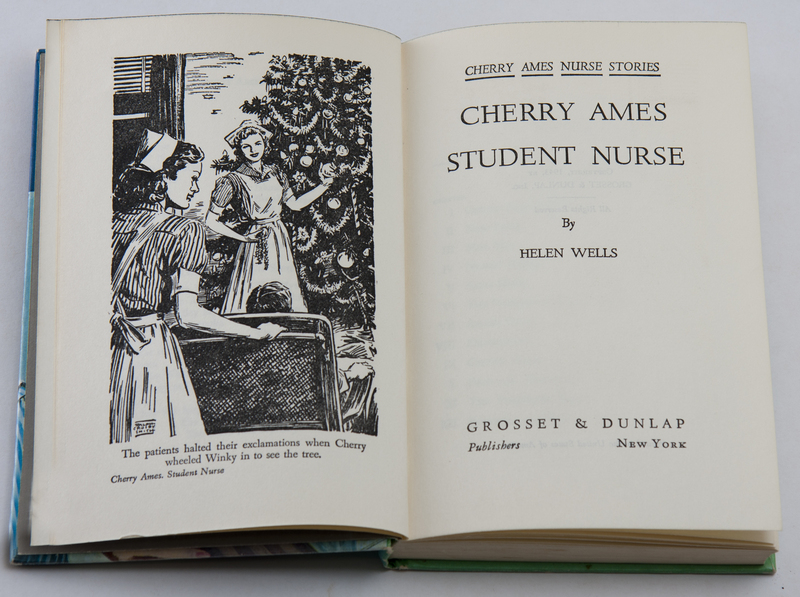 Helen Wells (1910-1986) wrote volumes 1-7 and 17-27, and Julie Campbell Tatham (1908-1999), wrote volumes 8-16. 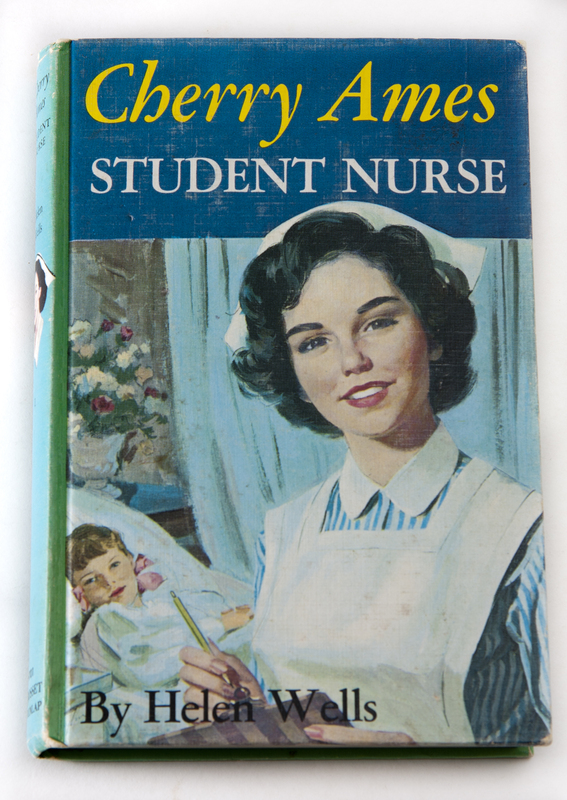 During the Second World War, the series encouraged girls to become nurses as a way to aid the war effort. 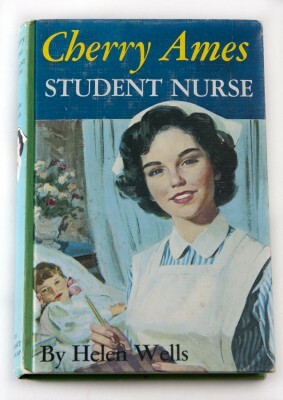 In these early adventures, Cherry solves problems and captures criminals when men in authority have failed to do so as a way of demonstrating that women can succeed in the public, working world. The series generated a few spin-off items including a Parker Brothers board game.